PVC planters are designed to perfectly fit over a 2x4 deck railing. These items are crafted using high grade cellular PVC which makes them extremely sturdy and resilient, although we do recommend bringing these indoors during wind storms for your (and your plants) safety. 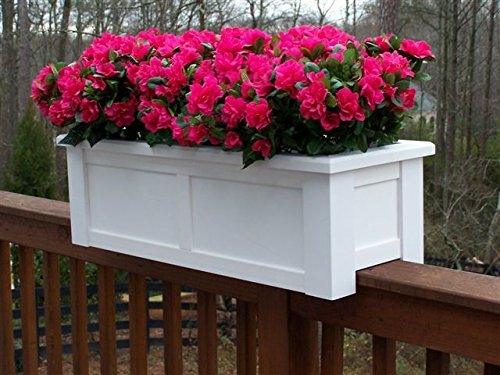 These PVC planters are sold in a standard white color. To change the appearance of these railing planter boxes you can easily paint them a different color.